Richard A. Griggs is Professor Emeritus of Psychology at the University of Florida. After earning his Ph.D. in cognitive psychology at Indiana University, he went to the University of Florida, where he has spent his entire academic career. He has won numerous teaching awards at the University of Florida and was named APA's Society for the Teaching of Psychology Teacher of the Year for 4-year Colleges and Universities in 1994. He served on the Editorial Board of Teaching of Psychology for over a decade, as a Contemporary Psychology Consulting Editor for textbook reviews, and as an Associate Editor of Thinking and Reasoning. His two main research areas are human reasoning and the teaching of psychology. 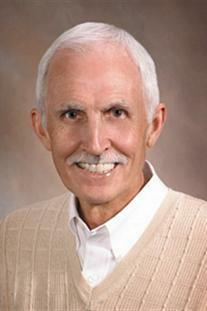 He has published over 150 journal articles, reviews, and book chapters, including 48 in Teaching of Psychology. He was also one of the originators and developers of the Society for the Teaching of Psychology's online resource, A Compendium of Introductory Psychology Textbooks, the editor of Volume 3 of the Society's Handbook for Teaching Introductory Psychology, and the coeditor of the Society's Teaching Introductory Psychology: Tips from ToP and Teaching Statistics and Research Methods: Tips from ToP. When he isn't busy with professional activities, he likes to relax at home with wife Sherri, also a psychologist, and their dog, Lucy. His main pasttimes are reading, puzzles, exercise and golf.